2019 Honda CB1100 RS. Picture credits - Honda. Submit more pictures. This bike has an edge to it, the look is pure street with eye-catching front and rear suspension units, full floating discs, a sport striped fuel tank and slim-styled indicators � stunning. Front brakes: Double disc. Floating discs. Four-piston calipers. Rear brakes: Single disc. Single-piston caliper. Seat height: 795 mm (31.3 inches) If adjustable, lowest setting. Factory warranty: One year. Unlimited milage. Transferable. Parts finder Chaparral provides online schematics & OEM parts for the US. 2Wheels offers first time 2Wheels buyers $10.00 off now. Same day shipment to the US. CMSNL ships low cost OEM motorcycle parts to Australia, Austria, Bahamas, Belgium, Canada, China, Croatia, Cyprus, Czech Republic, Denmark, Estonia, Finland, France, Germany, Greece, Hong Kong, Hungary, Iceland, India, Ireland, Italy, Japan, Kuwait, Latvia, Lithuania, Luxembourg, Macedonia, Malta, Montenegro, The Netherlands, New Zealand, Norway, Poland, Portugal, South Africa, Spain, Sweden, Switzerland, Taiwan, Ukraine, United Kingdom, The United States and more. Also check out our overview of motorcycle webshops at Bikez.info. Ask questions Join the 19 Honda CB1100 RS discussion group or the general Honda discussion group. Enter your e-mail to join the 2019 Honda CB1100 RS forum and get notification of answers and new messages about this bike. You can unsubscribe with a single click. Bikez does not display, sell	or misuse e-mail addresses. Bikez.biz has an efficient motorcycle classifieds. Ads are free. Click here to sell a used 2019 Honda CB1100 RS or advertise any other MC for sale. 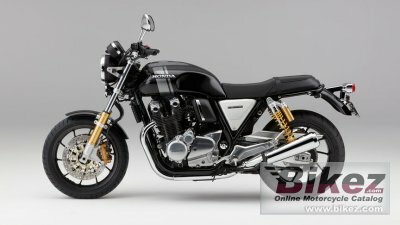 You can list all 2019 Honda CB1100 RS available and also sign up for e-mail notification when such bikes are advertised in the future. Bikez has a high number of users looking for used bikes. Before you buy this bike, you should view the list of related motorbikes Compare technical specs. Look at photos. And check out the rating of the bike's engine performance, repair costs, etc.